How many of you failed to connect to WiFi network in Linux? Did you bumped into issues like the followings in different forums, discussion page, blogs? I am sure everyone did at some point. Following list shows just the results from Page 1 of a Google search result with “Unable to connect to WiFi network in Linux” keywords. 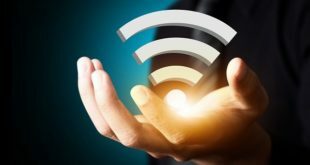 Following guide explains how you can connect to a WiFi network in Linux from command Line. This guide will take you through the steps for connecting to a WPA/WPA2 WiFi network. In case you’ve only got wired connection only, you can use this guide to setup DHCP or static IP address from command line in Linux. Before we jump into technical jargons let’s just quickly go over each item at a time. wpa_supplicant is a WPA Supplicant for Linux, BSD, Mac OS X, and Windows with support for WPA and WPA2 (IEEE 802.11i / RSN). It is suitable for both desktop/laptop computers and embedded systems. 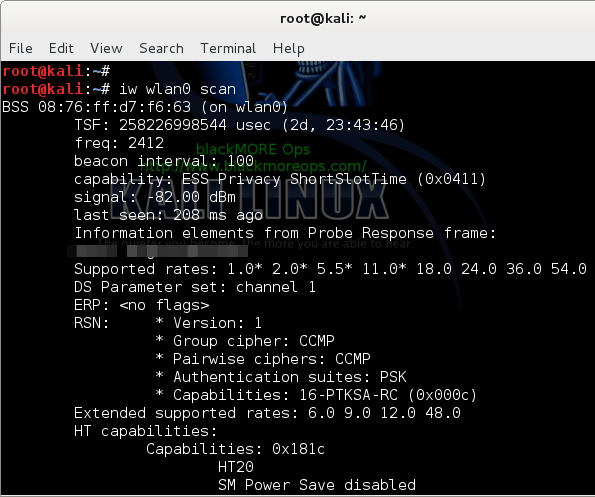 Supplicant is the IEEE 802.1X/WPA component that is used in the client stations. It implements key negotiation with a WPA Authenticator and it controls the roaming and IEEE 802.11 authentication/association of the wlan driver. iw is a new nl80211 based CLI configuration utility for wireless devices. It supports all new drivers that have been added to the kernel recently. The old tool iwconfing, which uses Wireless Extensions interface, is deprecated and it’s strongly recommended to switch to iw and nl80211. ip is used to show / manipulate routing, devices, policy routing and tunnels. It is used for enabling/disabling devices and it helps you to find general networking informations. ip was written by Alexey N. Kuznetsov and added in Linux 2.2. Use man ip to see full help/man page. Good old ping For every ping, there shall be a pong …. ping-pong – ping-pong – ping-pong … that should explain it. This actually help .. I mean you need to know your WiFi device name before you go an connect to a WiFi network. So just use the following command that will list all the connected WiFi adapters in your Linux machines. This system has 1 physical WiFi adapters. Interface Index: 4. Usually as per connected ports (which can be an USB port). Type: Managed. Type specifies the operational mode of the wireless devices. managed means the device is a WiFi station or client that connects to an access point. By this time many of you are thinking, why two network devices. The reason I am using two is because I would like to show how a connected and disconnected device looks like side by side. Next command will show you exactly that. As you can already see, I got once interface (wlan0) as state UP and wlan1 as state DOWN. Look for the word “UP” inside the brackets in the first line of the output. If you run the show link command again, you can tell that wlan1 is now UP. The above output shows that you are not connected to any network. The 2 important pieces of information from the above are the SSID and the security protocol (WPA/WPA2 vs WEP). The SSID from the above example is blackMOREOps. The security protocol is RSN, also commonly referred to as WPA2. 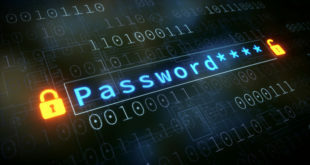 The security protocol is important because it determines what tool you use to connect to the network. Now we will generate a configuration file for wpa_supplicant that contains the pre-shared key (“passphrase”) for the WiFi network. 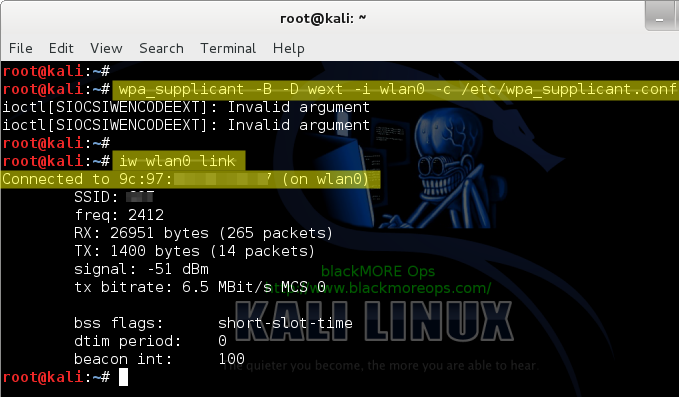 wpa_passphrase uses SSID as a string, that means you need to type in the passphrase for the WiFi network blackMOREOps after you run the command. wpa_passphrase will create the necessary configuration entries based on your input. Each new network will be added as a new configuration (it wont replace existing configurations) in the configurations file /etc/wpa_supplicant.conf. -B means run wpa_supplicant in the background. -D specifies the wireless driver. wext is the generic driver. -c specifies the path for the configuration file. Use the iw command to verify that you are indeed connected to the SSID. You can use ip or ifconfig command to verify the IP address assigned by DHCP. The IP address is 10.0.0.4 from below. Add default routing rule.The last configuration step is to make sure that you have the proper routing rules. This is a very detailed and long guide. Here is a short summary of all the things you need to do in just few line. At the end of it, you should be able to connect to WiFi network. Depending on the Linux distro you are using and how things go, your commands might be slightly different. Edit commands as required to meet your needs. Thanks for reading. Please share and tweet. 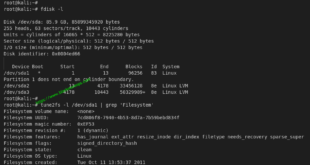 Previous Find HorizSync VertRefresh rates to fix Linux display issue – Why my display is stuck at 640×480? Next How to check loaded and compiled modules in Apache in Linux? This is a really nice resource and it’s especially great that you made a best effort to keep it distro agnostic. Thanks! The only thing I would add is a mention of the Network Manager command line tools. Since most distro’s use NM these days it’s nice to be able to work within that system from the command line too. Thanks for the idea tachyon1. translation: This nice explanation is not enough for me, I want it even easier. Wanna take a look at ceni? Thank you dude,it’s very useful. you have really upped the knowledge level/detail since this site started… great job… I think it is great you focused on iw in this post. You should now try and do a primer on “ip” (as in ip link, ip addr, ip route, ip tunnel)… that is a serious headache to try and figure out– even if taken in small chunks! One thing I am trying to right now is figure out how to create a bash script that creates a virtual wireless monitor, then changes the mac address on each to an identical new address. Part of figuring this out (while learning as much as possible), is to use the “iw” command instead of “airmon-ng”. Essentially, all airmon-ng really does is create an additional (virtual?) wireless interface using the same hardware NIC. 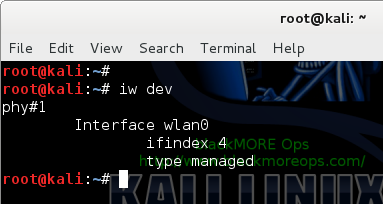 So you can create this new interface with “iw dev wlan1 interface add mon1 type monitor” at the command line. (with “wlan1” being (for me) my Alfa wireless USB adapter). That command adds an interface called “mon1” and sets it to monitor mode (which is the same as “PROMISC” when running ifconfig). I wanted to learn this because when you use Reaver or Bully, you have to make sure that you are spoofing the actual hardware device as well as the virtual device (which is typically created using airmon-ng). I think you actually mention this in an earlier post. So anyway, I am trying to write a little bash script which creates mon1 from wlan1, then each to the same new mac address This way I don’t have to execute 10 different shell commands before I start running reaver/bully. Thank you very much. Its very helpful even for newbie like me. Hello and thanks for the tutorial. I did everything as written here, but when I ran step 7, the screen was filled with error messages and the device (Rpi running Kali 1.0.9 w/tft support) didn’t respond to keyboard. had to open ssh and reboot, and never got wifi access. on the other hand, when I tried to connect to a public insecure wifi, the connection was automatic, I didn’t do anything and it worked. if anyone has an idea what is wrong, I would appreciate it. What if ip fails to bring up your wireless device. Where may the problem lie? I’m using CentOs 6.5, with an Intel Pro Wireless 3945ABG. The iwl3945 driver is installed and loaded as module into the kernel. I am having the same problem…. PLEASE HELP!!!! how you repair your problem ? give me answer i have same problem …………..
Look. I have no other network connection. I can’t get wpasupplicant with apt get, because I have no effing wifi connection. It’s 2015 and Ubuntu has NO native way of connecting to a WPA network card from the cli? I keep getting amazed at the level of nope this OS is. Aren’t we all? I almost tried to swipe my screen yesterday! Running an AWUS036H with a lifeboat Kali USB and got to the point of running iw wlan1 link and it came back not connected. Everything else looked and worked fine. Great site btw, loads of great info! Assign a static IP in router for the MAC and retry. Change wireless security to WEP and retry. Another option is to use wicd instead. Well, you mis a step to activate the hardware I think and to put the passphrase in action with WPA2. This guide is not working for Linux Mint 17.1 XFCE or Linux Mint 13 XFCE beyond step 6. The author seems to be making an assumption of knowledge on the part of the user. 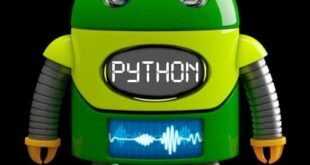 I have found ZERO step by step wireless connection guides for Linux on the internet that are written by people who actually want anyone with no knowledge of Linux to understand them. Followed this to the letter with two different routers and two different wireless dongles and on step 7 it simply reports “Not connected”. Amazed that the author is actually suggesting someone use WEP security. I’m a complete idiot with this stuff and even I know that. I mean to say, that even an idiot like me knows you shouldn’t use WEP. You use WEP to test .. does scanning shows any network at all? Sees all networks. Connects to none. And this guide didn’t work in elementary OS luna or Ubuntu 14.04 either. It appears that if the wireless nic is not present when the OS is first installed, you are out of luck unless you are a software engineer. Good to know you were suggesting WEP for testing only. That makes sense. Unfortunately, none of my routers support WEP. If gnome network manager (assuming that you are using GUI, isn’t working then wicd is another tool to try. Surprising that your cards are failing for multiple routers and different linux distro. 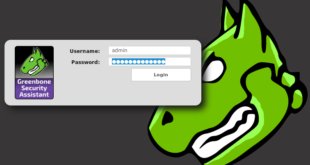 Do you have the correct password or are you able to use a non linux device to connect? Do you have MAC filtering enabled in the routers? Logs showing nothing? Very unlikely that everything is failing and no logs to dig into. Now it is connecting for me in Linux Mint 17.1 XFCE. I just wish I knew why it suddenly decided to connect when it would not before. Wish I could replay to my own comment up there or edit it. This does work on Linux Mint XFCE 17.1 (based on Ubuntu, which everyone knows is based on Debian). There is something funny with my network. That’s ok. Happy that it all worked out for you. Enjoy. hi guys this is a great site. kudos to you guys! please if you wouldn’t mind, can you help me out? i have being trying to run kali in my laptop(acer aspire E 11 running windows 8.1) but it doesn’t see the image. Even when i tried booting from a usb which i imaged kali into, same usb i use to boot in other systems the system still doesn’t recognise it. please i need your assitance, thanls. In one of your many interesting presentations, you mention you also have an AWUS036H, and I hope you can help me with my connection issues for that antenna. While I am new to Linux in general, I recently installed the Kali Linux VMware on a host using Win7 x64. Once installed, I got everything (apt-get update, upgrade, and dist-upgrade), and performed many of the top 20 items you recommend. However, I am unable to get my antenna to connect, even using your recommendations in your article on wireless connections. From the above, you may note I also installed the script you provided to change the user name at boot-up. This is more than frustrating, and I have researched every link I can find on the subject but no cigars. You are, in so many ways, my last option for a knowledgeable answer. i installed linux yesterday on vmware workstation. it is connected to internet but not showing. when i click the wireless icon it doesnot show the available networks. What should i do? kindly help me. even it doesntshow that it is connected to which network! In my terminal when I type iwconfig it say’s nl80211 not found? Am i supposed to be connected to the internet before I even open up a terminal through my ethernet cable. Wow this is awesome. Only it does not work for me even as the Gui tools do. 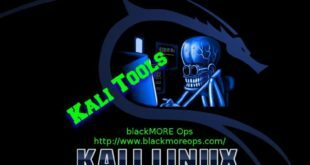 Anyone else test this successfully on Kali 1.1? If I get time I will try it on a previous Kail release. Everything seems to work right up to turning the interface up w/ wpa_supplicant where it never connects. My key and ssid are correct in the config file (confirmed with a separate calculation of the key). Though I can bring the WLAN right up with the GUI. Using AWUS036NH adapter. Also failing on my Raspberry Pi 2 w/Kali 1.1 which is where I really need to get it to work for a class project. Setup a SSID with WEP with simple password and SSID name (for testing) and see if you can connect to it. I did a another 3 hour blitz at this and no joy. On my Kali 1.1 VM on my MBP I can’t get any WEP connection at all(using iwconfig). On the Raspberry Pi, I eventually got a connection that disconnected right away but it was inconsistent. I forced the channel shown in AP config and now I consistently get connected, then disconnected with a deauth. My gut tells me that something in both cases is interfering with the manual control. Like whatever makes it connect so easy in the GUI, is not allowing another process to control the WIFI. On the Pi it is probably a bug as there is no gui loaded in the base Pi Kali image. I fried on this one right now…need to move to a different problem…any thoughts would be welcome. Interface came up during reboot. This method is nice because it persists after reload though it really irritates me the manual way is not working for me…. That worked perfect. You are awesome. Great article. Worked for Kali 2.0 I wanted to stop using network manager so I have more control over my WiFi adapters for testing. I use a Dell laptop that has a built in Intel wireless card (Centrino Advanced-N + WiMAX 6250), and an Alpha AR9271 (Atheros UB91C). One note regarding the commands in the conclusion: [email protected]:~# wpa_supplicant -i wlan0 -c /etc/wpa_supplicant.conf is missing the “-B” flag. Thanks again! …hope that helps someone else get things hum’n! Thanks for this great tutorial I am using a 2006 Toshiba A215 S7422 Satellite laptop which now has Linux Mint17.2 MATE runs as fast as it did when brand new in WinVista. I have a home network I use the laptop for as all my other workstations, desktops and storage are ethernet cable connected. Nice to be able to roam around with wireless now and then here. I use a Linksys E3000 router (simultaneous dual band ) i use “N” for both 2.4g and 5g bands . the laptop has a built in wifi as most did, but it is only ‘G: 54mbps which is slower than my cable internet. so, only use N for a Rosewill xternal usb which is only 2.4g but works and this helped me to disable the built in laptop wifi and ‘up’ the usb easily so ,not having to bother disconnection the prior constant of the ‘g’ band from going in circles since i no longer transmit on that , 2.4g is n only. now, to try to boost the connection speed somehow from configuring via terminal. (for anyone getting started, save yourself infinite pain by setting up a wired connection so you can pull down the repo’s and tools req’d first – at least on centos 7, the wpa_supplicant tool, for just one example, is not installed out-of-the-box). and how do you make it permanent so you don’t have to enter all these commands again? 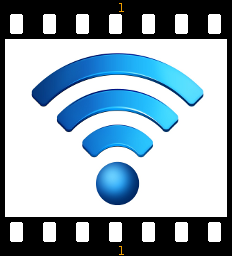 vswm (Very Simple Wireless Manager) is a command line tool that manages the wireless connection. It is dead simple. It reads the known networks from a config file and scan the available networks. Then, it connects to the first match. Bummed that after step 7, it continues to be “not connected”. I wonder what I’ve done wrong. Following the steps closely. Running kali off an SD card and can access the network no problem in windows. Thanks! 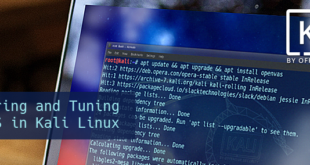 If you have a wifi device (using RALINK RT5350F) with a known MAC address that my router CANNOT see ( but it did one time in 100 attempts) ; Can I use linux command(s) to force connect to my local wifi.???? Conclusion: The MAC address of NO VALUE unless the router see the device. In my case the router does NOT see the device. I monitored the Diag Log File and no request WITH THE MAC ADDRESS was initiated. My only access to the device is through an app on my mobile. The app should initiate the request but it does not. Nice tutor bro….keep the good work!! then attain interesting details about your future job,. how to act before you go live. I was stuck till I hit your page. Other approaches did not work. Many thanks sir. Now my antique laptop is airborne. the state of the wifi device is not getting up. It is because the shell is the one doing redirection and not the wpa_passphrase. you will need to root your phone and install NetHunter. Start by practicing Google searches all good hacktivists must learn to search. When setting up the default route where is that 10.0.0.138 coming from? Can’t find it in the previous commands’ output. Many many thanks for this guide dude!!! :D I’ve been struggling with connecting my Debian laptop via wifi for the last couple of days and this has worked like a charm!!! Thank you so much! I have been trying for days to get my laptop (Mint) back online. All of my research has been taking me around in circles; you saved me! Great thanks. This resolved my problem, the solution for which was only found here, after browsing thru so many useless blogs. This is an AMAZING guide. I’m just jumping back into Linux for the first time in years, and Kali is literally the only thing I’ve been able to get running on my Acer Spin 1 (not even quite really–I’ve installed it to a usb drive with a partition for persistent data). I was close to tearing my hair out, but then I found this guide. Straightforward, very easy to follow. Thank you so much!